Pumpkin picking, hay ride, haunted house – are they on your Fall Bucket List this year? If they are and you’re anywhere near the U-Pick Red Barn Pumpkin Patch in Idaho Falls, Idaho, we recommend a visit! We’ve always loved visiting a pumpkin patch. 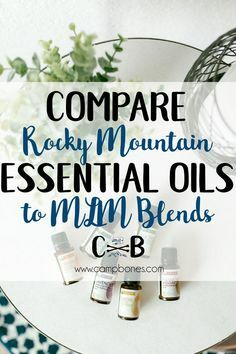 With this being our first fall in the Jackson, Wyoming, area, I started asking around for the local’s favorite in September so we could plan a trip. The U-Pick Red Barn did not disappoint! Here’s what you need to know to have your own amazing pumpkin patch adventure. Who looks more excited here? I LOVE FALL OKAY?! Leggings by LuLaRoe! Shop my inventory here! The U-Pick Red Barn is located in Southern Idaho Falls near the Idaho Falls Zoo at Tautphaus Park. We went on a busy Saturday and had to park a ways away along the road, but it wasn’t a big deal, even towing our trailer. There’s wagons to borrow to lug your pumpkins to your car, so no worries on that! During the season, the pumpkin patch is open 9am – 8pm Monday-Saturday and is closed Sunday. We found the pricing to be a little confusing when described on the website, but basically it’s free to go in to just pick pumpkins, no activities. Pumpkins are priced 3/$20 or 5/$30. For activities, you need a wristband. We bought three pumpkins for $20, three wristbands for two adults and a child, and three extra train rides for $41 total – not a bad price at all for the amount of fun we had! You’ll pay extra for entrance to the Kids Haunted Barn Loft, which was closed when we were there. There’s also an economical season pass option if you’re local! The weather was variable the day we were there – from sunny and warm to cold and windy to even snowing, so make sure to pack layers including gloves, hats and blankets for babies and consider bringing your own wagon, baby carrier, or stroller for your kiddos. We carried a backpack with extra layers, tissues for runny noses, baby wipes for sticky caramel-corn fingers, and water bottles. There is so much to do at the U-Pick Red Barn! We decided to pick our pumpkins last so we didn’t have to lug them around and let our preschooler decide where to go first. Fair warning, my kiddo apparently decided this was the day he would stick his tongue out in every photo. No surprise for my train-obsessed kiddo, the first thing he wanted to do was take a train ride. This was a good plan because the train gives a tour of the entire pumpkin patch so we learned our way around and what activities there were. Next, Bowman decided to jump on these big air-filled things. This photo shows the big maze and big slide. There’s also a smaller maze and slide to the right in this photo. And then it was time to tackle the hay maze and pyramid and the slides! It was fun to watch him work up from needing Mac to go with him to going by himself! You can kind of see the tables behind me. In the area of the jump pillows and the slides are quite a few tables for families to set up on. After a quick play time in the corn “sand” box, we took yet another train ride. And then it started snowing, so we ducked into the barn to grab some snacks. Bowman and Mac entertained themselves petting the baby kittens while I grabbed fresh hot mini doughnuts and caramel corn. The snow had stopped – silly October – so we went out to the big pyramid at the entrance to get out of the wind and ate our snacks, yum! 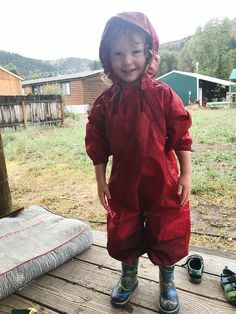 We love those dinosaur boots by Western Chief – I review them and the rest of our favorite cold weather toddler gear here! While we were there we took a family photo. It’s so hard to get family photos of everyone, right? I always ask a family if they’d like a photo of all of them, and then they’re usually happy to take one of us, too! At this point we’d been at the pumpkin patch for a couple of hours and we were getting a little cold. After a quick detour to say hello to the chickens, Bo decided he wanted to ride a pedal bike, so we grabbed one and one of the many wagons on the property and set out to find our pumpkins. I loved the pumpkin variety – red, white, orange, green, big, small, perfectly shaped, misshapen. We found our pumpkins, took a few more photos, and decided we were ready to go, our Fall Bucket List fully checked off! Have you visited the U-Pick Red Barn in Idaho Falls, Idaho? What did you think? Check out my U-Pick Red Barn Pumpkin Patch Story on Instagram! Subscribe to My Newsletter to Never Miss an Adventure! When we moved to Jackson, Wyoming, we had to learn all new routes to get to our favorite places. The route to get back to Montana is pretty familiar, but the route to get to Nevada where my family lives is completely new! In my travels this summer I tried a bunch of different routes with the added bonus of finding a half dozen destinations to add to my weekend getaway list, including the charming Lava Hot Springs, Idaho. Lava Hot Springs, located in Southeast Idaho only two hours from Jackson, Wyoming, and two hours from Salt Lake City, Utah, is a unique family-friendly resort town featuring odor-less natural mineral hot springs. When we drove through this summer I was amazed by the number of people in the pools and tubing in the river, and intrigued by the cute restaurants and shops. Our family loves hot springs. We had a membership at the hot springs in Helena, Montana before we moved and miss it terribly! So when we had an unexpected few off days together this fall, we decided a quick trip to Lava Hot Springs for a weekend getaway was just what we needed. 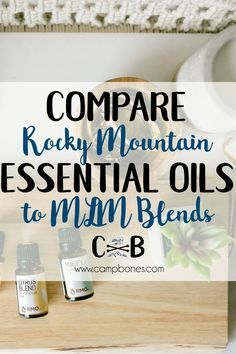 Since we’re always ready for camping, we were able to just throw in the clothes and food we needed for the trip in our travel trailer and get on the road. The weather was supposed to be cold at night and clear and warm in the afternoons, so we made sure to pack layers and of course our swim suits. You can see a different hotel across the river behind us. Both spots next to us were full by the end of the day Friday! We decided to stay at the Lava Spa Motel Campground because it’s right next to the hot pools and they had last minute space available. Our space was right along the Portneuf River and very scenic. The rapids were loud and added a bit of noise privacy from the neighbors, who were quite close. With a dog and preschooler, we were a little nervous to be so close to rushing water, but we just made sure to keep a close eye on them both. As soon as we got the trailer setup we drove further into town just a few blocks to the small but well-stocked grocery store to pick up the groceries we’d need for breakfasts and something for a late dinner. It was getting late and dark out, but we wanted to get a quick soak in before the pools closed. When traveling to Lava Hot Springs in the shoulder seasons, make sure to pay close attention to the hours of the different pools as they vary. With groceries in the trailer, we changed into swimsuits and walked down to the pools. The Lava Spa Motel is right across the street, which made the chilly walk there and back easy with a kiddo. The Hot Pools are a series of soaking pools ranging from 102 degrees to 112 degrees. There’s lots of locker room space and a huge family changing room! We really enjoyed our evening soak in the Lava Hot Springs Hot Pools. Most of the pools were too hot for the balmy evening and our three year old, but the 102 degree pool was a good temperature. The pools are either natural rock or gravel bottomed and feature zero entry, sitting benches, and platforms. After a quick soak we headed back to the trailer – such a quick walk! – and got dried off and ate a very late snacky dinner in the trailer before settling into bed. The hot pools are not only well kept and very clean, they’re also very scenic with the cliffs above! The highway and a railroad is between the pools and the cliffs so it can be a little noisy, but Bowman liked seeing the trains and it didn’t bother us! The next morning was clear and cold! We followed our normal camp routine and made our favorite easy camping breakfast, breakfast tacos. Then we went right back down to the hot pools for a morning soak! We purchased the all-day pass so we could go back as much as we wanted, and also visit the Olympic Swimming Complex when it opened later that afternoon. This pizza was so good! Have you ever tried a squeeze of lemon on your pizza? After a soak we got cleaned up and ventured into town to explore. Everything we needed was within five blocks! We poked around different shops and stopped into The Royal Hotel and Pizzeria for lunch. It was so good! We loved the hot wings and pizza – they serve their pizzas with a slice of lemon and it was a unique touch I’ll be trying at home! They have a kids menu and a full bar – our favorite kind of place, haha. We visited the park and playground just above the bridge on the main street – for the life of me I can’t find a name of the park – and then took a little scenic drive to encourage our three year old to nap before the evening’s main event, the trip to the Olympic Swim Complex Indoor Swimming Pool and Kiddie Cove. When we visited in October, the outdoor pools at the Olympic Swim Complex, including the slides, were closed for the winter and the indoor pools were open weekends only in the evenings starting at five. Bo’s favorite thing was to make you lay underneath the big bucket and get soaked! To maximize our pool time we showed up right at five! We were again impressed with the facilities including the huge family changing room. Bowman absolutely loved the Kiddie Cove for kids under 11 full of different water features! We kept switching from that pool to the indoor pool to splash around and jump in. It was quiet from 5-6:30ish, and then got really busy until closing at 8PM. We’d the exhausted ourselves at the pool, so instead of tackling dinner in the trailer we called in an order to Riverwalk Thai and picked it up. I didn’t even get pictures of the food – we were so hungry! Of what we ordered, the green curry was amazing, the pad thai was average, and the chicken satay was just okay. We’d go back, though! After dinner we crashed after a fun day! We’re always happiest in the trailer! And that concluded our trip! The next morning we had breakfast tacos again, and then headed up to Idaho Falls for a trip to the U-Pick Red Barn to cross some items off of our Fall Bucket List. We really enjoyed our weekend getaway to Lava Hot Springs and definitely plan to go back this winter to check out the nearby ski hill and soak, and hopefully plan a summer trip to try out those water slides, too! Check out my Lava Hot Springs Story on Instagram! Towards the end of August in the Rocky Mountain West, there’s a certain crispness in the air in the mornings. As the calendar rolls over into September, you find yourself using the heater in the car in the mornings and the air conditioner in the afternoon. You reach for a hoodie or a cardigan in the evenings, even if you wore a tank top and flip flops during the day. For me, this transition into Fall means taking inventory of our wardrobes to make sure we have all the outdoor gear we’ll need. For the Boneses, there’s no such thing as bad weather – just bad outdoor gear – so we take our closet prep seriously. 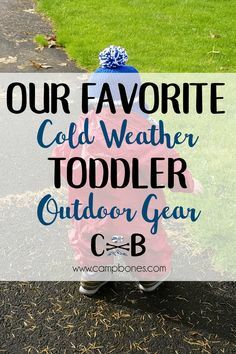 Today I’m sharing our favorite toddler cool weather – not snow, that’s a different post – outdoor gear and our favorite places to shop for it, including some hacks for buying Patagonia on a budget. Don’t let the “Baby” in the title fool you – this key piece of outdoor gear is available in sizes 3-6 months to 5T and generally runs a little big! We usually get two seasons of wear out of a fleece while our kiddo grows into it. We prefer this Patagonia version to others because it’s soft, super durable, washes up great, and layers easily for buildable warmth. Also, it’s just plain cute! Again, not just for babies, and also not a sweater, this micro puff coat is available in sizes from 3-6 months to 5T. A mini version of the popular adult coat, this coat serves as our kid’s main winter coat with different layers underneath depending on activity and weather. It’s lightweight, windproof, water repellent, and warm – the four keys to kid’s outdoor gear. We layer the Synchilla Fleece underneath it and use that hood to cover cold ears when needed. Directly from Patagonia – signup for the Patagonia mailing list to be notified of sales. We buy past-season outdoor gear on sale all the time! Sometimes the exact size we need isn’t in stock, but if we have the funds I’ll buy the size we’ll need next season. From a Patagonia Outlet – Patagonia outlets are like our Disneyland for outdoor gear. They offer past season gear at greatly reduced prices – and they have sales, too! Find one near you and if you can’t make a trip, I know the good people at the Patagonia Dillon Outlet will shop by phone and ship to you! From REI – Become a lifetime member for $20 and get 10% of purchases back every year plus no hassle returns and exchanges and members-only offers. Gently Used – Starting in August I haunt our local outdoor gear thrift shops for gently worn Patagonia. Since the brand is so durable and kids grow so fast, there’s always lots to choose from! If you live near or travel to ski towns – Jackson Hole, Wyoming, Whitefish, Montana, or Sun Valley, Idaho, for instance – you’re sure to find almost-new kids outdoor gear in the thrift shops. It’s worth checking out! I also shop from several Facebook Outdoor Gear Buy / Sell / Trade groups, including my fave, Patagonia B/S/T. Mud? Rain? Puddle jumping? Sand? A little bit of snow? The Tuffo is the easiest – and maybe the cutest – outdoor gear to shield your kiddo from wet and dirt while letting them have fun! This waterproof layer zips over a toddler’s entire outfit and whatever layers they need beneath. The gusseted sleeves and ankles mean the wet, mud, and sand stay out. We use the Tuffo on the beach, out in the rain, in the mud, and for light snow play. Available in sizes from 12 Months – 5T and runs big. Our tall skinny three year old is still comfortably wearing his 2T he’s had since 18 months. Trust us on this one and buy a Tuffo for your adventure kid today! Before we switch to a heavy snowboot for the winter – we prefer Bogs for that – our kiddo wears his adorable dinosaur Western Chief boots. Available in some stores – we bought ours on an Oregon Coast vacation at Fred Meyer – or online at Amazon, these waterproof boots pull on easy and keep the wet out. With a pair of wool socks underneath, these can handle a little bit of cold, too. Available in toddler starting at size 5, little kid and big kid sizes. Want more outdoor gear tips like these? We’re dog people. When we lost our yellow lab, Jackson, to Mastocytoma in the Fall of 2011, we spent a few months without a dog in the house. While I enjoyed not being constantly covered in yellow dog hair, we missed the click-clacking of nails on the hardwood floors and the warm presence of a dog in the house. By January 2012 we had our eyes on a puppy and we brought home our Ranger Dog in March 2013. Ranger goes on all our adventures with us, so he needs gear too. This article details our favorite items of dog gear. While yellow labs might be built for water, the cold mountain lakes and swift rivers where we recreate can be dangerous for even the best swimming dogs. We love the Ruffwear Float Coat for Ranger. It doesn’t bother him when he wears it, and the handle is strong and positioned well so we can haul his 90+ pounds back into the boat or on the shore when needed. Great for peace of mind and practicality, the Ruffwear Float Coat is a must-have piece of dog gear for our water adventures. I know, I know. Dog boots? Really? Really. For any length of time on rocks or hot surfaces, Ranger wears his Ruffwear Grip Tex All-Terrain boots. They protect the pads of his feet from cuts or blisters and protect his nails from breakage. 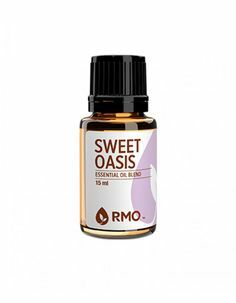 These are also great when the ticks are out in full force to protect those crevices between toes! Size these carefully and they’ll stay on well and last a long time. I highly recommend buying red ones – the black and blue can both blend in at the river if one does come off! If you do lose one – you can buy a set of two without having to buy another four, which I appreciate. I’ve considered getting Ranger the winter version for cross-country skiing this winter! Out in the woods during hunting season? Our whole family wears orange just in case, and that includes our dog. We have a different version of this high-visibility Ruffwear Track Jacket, and I think I’ll upgrade to this one soon. For nighttime adventures and camping, we always throw this LED dog collar on Ranger. I like it better than a beacon because the lights go all the way around. As a bonus – it’s pretty disco. Since we always have glow sticks around for Bowman’s entertainment, a Bones family campsite can become quite the toddler/dog rave at night! No Bones adventure is complete without the most genius piece of dog gear ever invented – the Chuckit. Keeps your hands clean and throws the ball further – perfect for high-energy dogs like Ranger who just can’t get enough fetch. If we’re camping, we always bring our portable foldable pet play yard so Ranger can hang outside with us without being leashed or tethered. For our complete Ultimate Camping Checklists, click here! Lastly, a bag to fit it all in! We love this Mountainsmith K-9 Cube Travel Bag so much we’ve given it as a gift to our dog-loving friends multiple times. 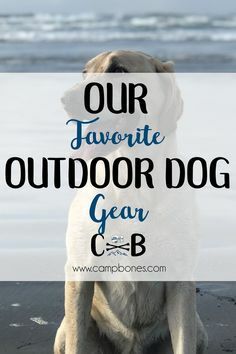 It may be our favorite piece of outdoor dog gear! This sturdy, compact bag has a removable dog food container, a drop-down flap that holds collapsible food and water bowls, and an interior divider to keep everything organized. Plenty of room for treats, balls, and more! Want more tips like these? Subscribe to my Newsletter! Mac and I started out camping together in a tent, then out of the back of our truck camper, and finally, now, with a kiddo in tow, we camp in our vintage 1976 Kit Companion pull behind trailer. 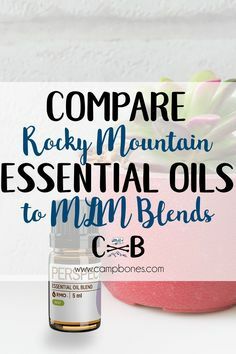 Both of us are planners and over-packers, so we’ve developed thorough camping checklists for all of these situations – which we’re happy to share with you now! 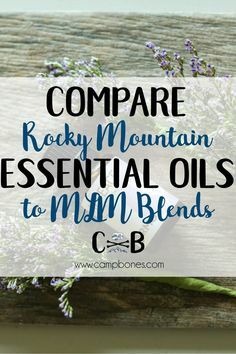 My Ultimate Camping Checklists are linked below! When I say tent camping I mean drive to the campsite and set up a tent, not backpacking! I’ve never been much of a backpacker – I just really like having my stuff with me at all times, honestly. We’re hoping to backpack with Bowman in the future so I’ll definitely be writing about it when that happens. Bear country or not, it’s important to keep food out of your tent and somewhere hard-sided to not let the critters in. Do you have the space in your vehicle to store your coolers and camp cookware? Make sure to choose a space where water isn’t going to collect! One time on the Washington Coast we setup the tent, went to town for dinner when it started raining, and came back to our sleeping bags floating on Therm-a-Rests in a newly-formed lake! This was even on the tent pad – so don’t always trust the campsite engineers. Also make sure you have a rain fly, no matter what the weather, and stake that tent in good to prevent fly away situations! Most of your camping supplies will need to be stored in your car once you get to the campsite, including food! How are you storing it and keeping it organized? We loved the freedom of truck camping! Wherever the truck could go, which is almost anywhere, we could go. We didn’t need to worry about campsites and dispersed camped wherever we could. This chapter in our lives is best described as … pre-kid. We truck camped one time with Bowman and I said never again. I don’t have the constitution for life including naps and sleep with a baby or toddler in an eight-foot truck bed, no matter how well kitted out it was. You may be different, but Camp Bones was not destined to camp in the truck. If you’re living in the truck bed, all your stuff is going to be living elsewhere. Do you have a plaform under the bed? Does everything fit well in the cab? Do you have hardside storage boxes on top the truck? Don’t drive somewhere it will be hard to leave if the weather turns! Mac and I did this once. It started to sprinkle and we threw everything – including the skillet cooking our breakfast – into the truck and raced out knowing we would be stuck for a couple days if the road got wet. Also make sure you’re on a level spot. You may love your partner and your family – but have you tried living out of a six or eight-foot truck bed with them? Make sure you’re using the truck space thoughtfully. One week after our truck camping experience I swore to not do again, we found an amazing vintage trailer for sale locally and before we knew it we were trailer campers! We love our little camper, nicknamed Kit, and have taken her on all kinds of adventures. Our favorite thing about having a trailer is that most of our camping gear is inside Kit year-round! That means less tubs, less storage space needed, and an easier way to camp spontaneously! Total tow vehicle length and height will determine where you can go! We love our small trailer because we can still get into the out-of-the-way camping spots. Are you dry camping – that means no water or potty on board – or are you going to use all the facilities? You’re going to need to fill with potable water and find a place to dump at the end of the trip. I hope this article gave you some considerations on how to camp. 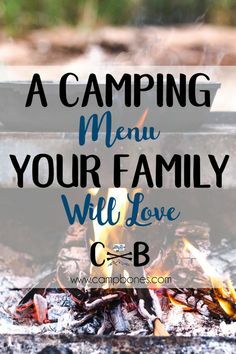 Download the Camp Bones Ultimate Camping Checklists! Want gear recommendations? Check out all my gear posts here! When we’re camping we don’t spend a lot of time planning activities. We like to let adventure – and the toddler – lead the way! That being said, toddlers sometimes need a little push to keep them in happy camper mode. This Toddler Activity List is full of cheap and free ideas to keep the toddler happy while you get dinner together or wait for the adventure to start. I’ll usually start these activities with Bowman, or give him the idea. Where he takes them from there is always the fun part! Gather materials to build tiny houses like stones, sticks, and leaves, and then decorate with pretty rocks, lychen, and other bits of nature. Keep this as simple as you can and give one description at a time until they get the idea! Kids are great at finding bottle caps, soda can tabs, and pieces of plastic. Keep an eye on what they grab just in case. Might as well put them to work, right? Remember to follow the campground rules for collecting wood if you’re going to burn it! The last time we went camping we unloaded our new generator out of its box and Bo immediately made himself a fort with it. He entertained himself for hours! Leave it to a kid to be taken to the great outdoors and still find a cardboard box the most entertaining thing around! No boxes? Try sticks or branches! We buy these from the Dollar Store every time we go! Sticks, bracelets, necklaces, wands – we love them all! We have a set from Melissa & Doug and Bowman loves using them. If you know a toddler, you know they love bubbles. Easy. These are our favorite time-killer, and since it’s only water, it’s mess-free! The paintbrushes also double for the nature painting activity above. We always let Bowman pack his own backpack before we leave. It’s always so fun to see what he packs! Cars and trucks and mini dinosaurs are a lot of fun in a new environment. We always take a picture of what he has before he takes it out of the camper so we make sure to get gather it all back up. We have a basket of toys in the trailer that he can only play with while camping. Every trip it’s like they’re brand new toys! I rotate these out seasonally to keep it fresh. We go for the tablet, y’all. There’s rarely a disgruntled Bowman moment that can’t be solved by an episode of Paw Patrol or gametime with Sago Mini World on his Kindle Fire. Yes, we go camping to escape from the day to day technology distractions, but we are 100% not above some “tabby time” as Bo calls it if it means we all get to be happy campers. A Dry, Warm Toddler is a Happy Toddler. Check out Our Favorite Cool Weather Outdoor Gear Here! Want more ideas like this? Subscribe to my newsletter for more!